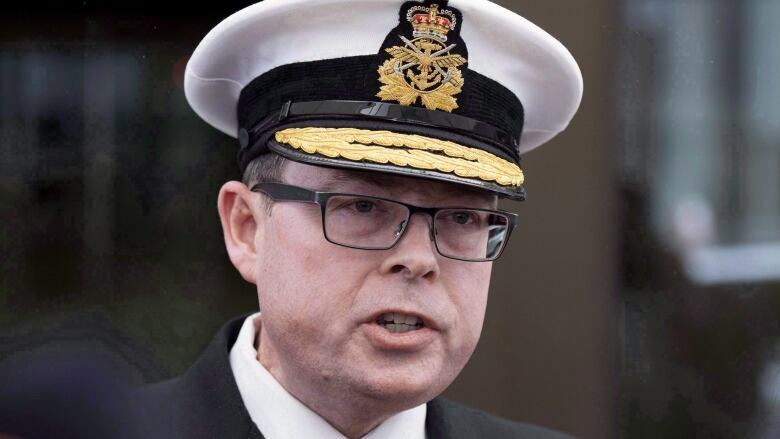 Lawyers defending Vice-Admiral Mark Norman have taken aim at one of the Liberal government's senior cabinet ministers in a court filing, alleging political interference in the program to deliver an interim supply ship to the navy. The former second-in-command of the Canadian military faces one charge of breach of trust after being accused of leaking cabinet secrets to the Davie shipyard in ​Lévis, Que., which was proposing a $668 million lease arrangement with the federal government. Treasury Board President Scott Brison will be among the Crown's most important witnesses, and lawyers for Norman went to court Friday to force the government to disclose documents pertinent to his defence. 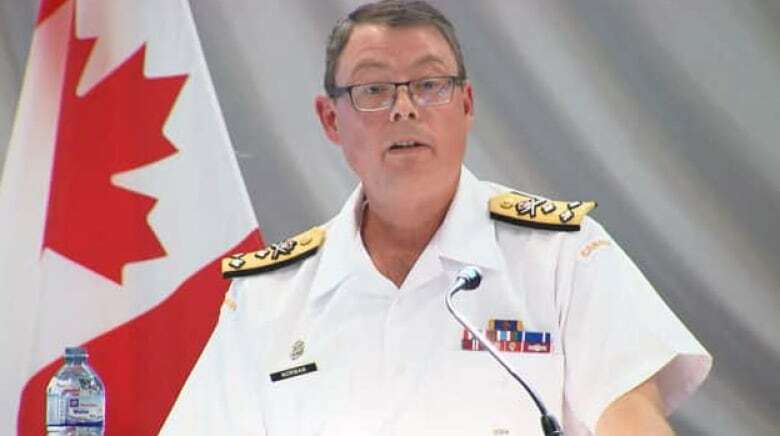 Prosecutors allege the former vice-chief of the defence staff, when he was head of the navy, disclosed classified information to shipyard executives, which eventually found its way to the media and was published by CBC News reporter James Cudmore, who was later hired as a policy adviser to the defence minister. The motion seeking the documents was filed in an Ottawa court. A copy of that motion was obtained by CBC News. 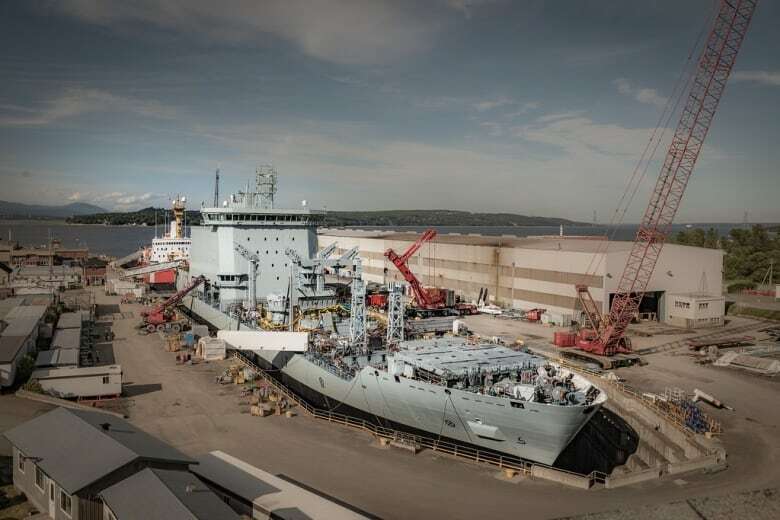 The MV Asterix, the navy's planned temporary supply ship, at the Davie shipyard in ​Lévis, Que., in early July 2017. The contract to lease the vessel to the federal government was at the centre of an RCMP investigation into the leak of cabinet secrets. The Liberal government, newly elected in November 2015, sought to delay the supply ship lease project, and Norman's lawyer Marie Henein wrote the defence believes "Brison was behind the effort to delay and potentially terminate the Davie agreement" and that he may have done so at the behest of corporate rival, Irving Shipbuilding, of Halifax. "Minister Brison appears to be close to the Irvings," said the court filing. "He has frequently been lobbied by James Irving on behalf of the company." Part of Brison's job as head of the Treasury Board is to examine and challenge government spending decisions. A spokesperson for Brison would not comment on the court filing, but the minister has in the past denied any wrongdoing. Similarly, a spokesperson for Irving Shipbuilding said Saturday that there was nothing improper in the company's communication with the Liberal government over the temporary supply ship program, in which it had also submitted a proposal. 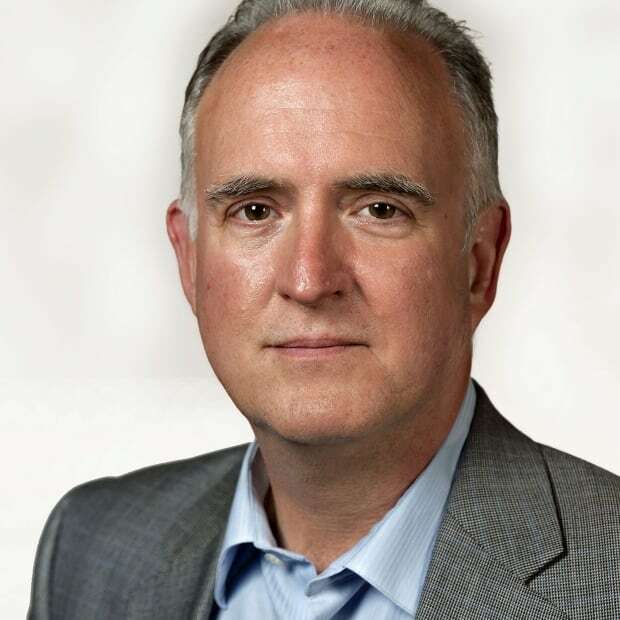 "We expressed our concerns with the procurement process to the new government as part of an ongoing transparent dialogue," Sean Lewis said in an email. "Our outreach highlighted our concerns and requested that our proposal be fairly evaluated. Other shipbuilders who also participated in the process to provide a [supply ship] solution also expressed concern with the project and how the government made its decision." The motion provides a taste of the political minefield that's ahead for Liberals next year when Norman's case goes to trial, likely during the next federal election campaign. Henein is demanding government disclose all communication between Brison's office and the Irvings prior to a crucial cabinet committee meeting on Nov. 19, 2015. It was at that meeting the Liberal government decided to risk a multi-million dollar penalty and put the supply ship program on hold. News of the pause leaked to the media, which the RCMP allege was orchestrated by Norman. The government eventually proceeded with the program. The Liberals, however, were embarrassed. They ordered an RCMP probe and Brison told investigators the leak prevented cabinet from doing its job. Henein pushed back, in the court filing on Friday, revealing — for the first time — that the federal police investigation had identified how some documents prepared for cabinet made their way into the hands of lobbyists. "The RCMP's investigation discovered that a government employee, Matthew Matchett, gave a lobbyist then working for Davie the classified Memorandum to Cabinet ("MC") and slide deck relating to the Liberal Government's November 19, 2015 … Cabinet committee meeting," said the court documents. The documents noted Matchett had not been charged, and that both a Davie executive and a lobbyist had been granted immunity from prosecution. "There is no allegation that [Vice-Admiral] Norman provided documents protected by cabinet confidences to anybody." CBC News reached out on Saturday to Matchett but received no response. The documents also alleged an internal government investigation into how the cabinet decision leaked found that there were in fact six separate leaks and 73 people within the bureaucracy knew the outcome of the meeting. The RCMP alleges in a search warrant, released publicly last year, that Norman leaked the information in order to ensure that the interim supply ship program went forward and that it was his preferred option. In order to prove breach of trust, the Crown must demonstrate that the accused had something personal to gain. Henein wrote that, contrary to the prosecution's claim, Norman was leaned on by the previous Conservative government to deliver the program. Former prime minister Stephen Harper's government signed the initial contract with the shipyard, but it was left to the Justin Trudeau's Liberals to implement it. "There is no evidence of any personal benefit to [Vice-Admiral] Norman or of any other 'dishonest, partial, corrupt, or oppressive purpose,'" said the filing. "He worked to deliver what elected government wanted, what the Navy needed, and what was in the interest of all Canadians. He obtained absolutely no personal benefit." Norman's defence alleges that senior defence and public works officials, who opposed the leased supply ship program, worked to kill it, contrary to the direction of the previous Conservative government. Henein has asked the Crown to waive cabinet secrecy on all documents related to the case and thus far has been rebuffed. "The Prime Minister through the Office of the Privy Council has refused to waive any Cabinet confidences except those required to prosecute [Vice-Admiral] Norman," she wrote. "The [Privy Council Office] initiated the RCMP investigation, yet it controls the entire flow of information and has to date refused to provide any transparency." The defence team also alleged the government retroactively invoked secrecy on documents investigators had deemed not confidential. They pointed to a letter sent to Brison, Defence Minister Harjit Sajjan and former procurement minister Judy Foote by the Irvings, prior to the controversial cabinet meeting, as proof. "Although the RCMP asserted that the Irving letter was not classified, the PCO now claims that the letter would in fact be a Cabinet confidence," said the court documents.